Combining low-profile presence with high-level security, our storage facility is discretely situated within an elegant historic register building in the best part of Old Town, Pasadena. Clients have access to Curatorial Assistance's full complement of art services and to our museum-trained staff and creative department. We specialize in local (Southern California area), national, and international fine art shipping. Our vehicles have gentle suspension and climate control to ensure safe transit of delicate artworks. 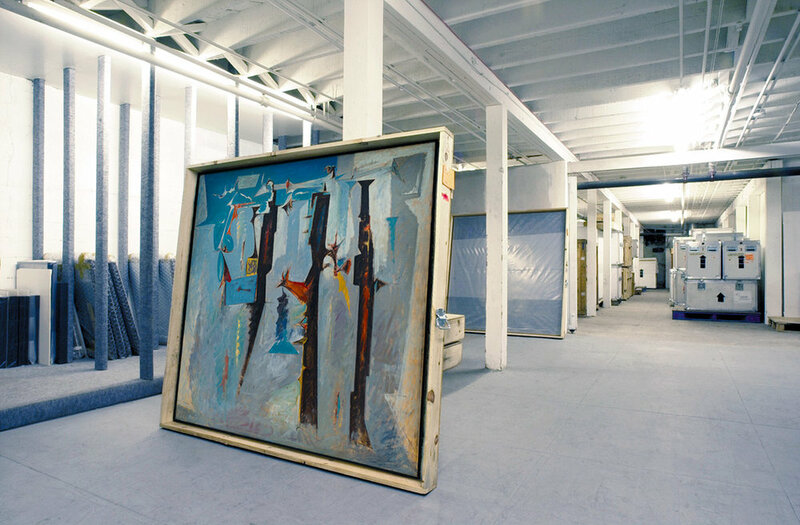 Our professional art handlers ensure secure packing, and we can provide same-day transit insurance coverage. Out skilled handlers also provide top-tier art installation on site.